Hi! 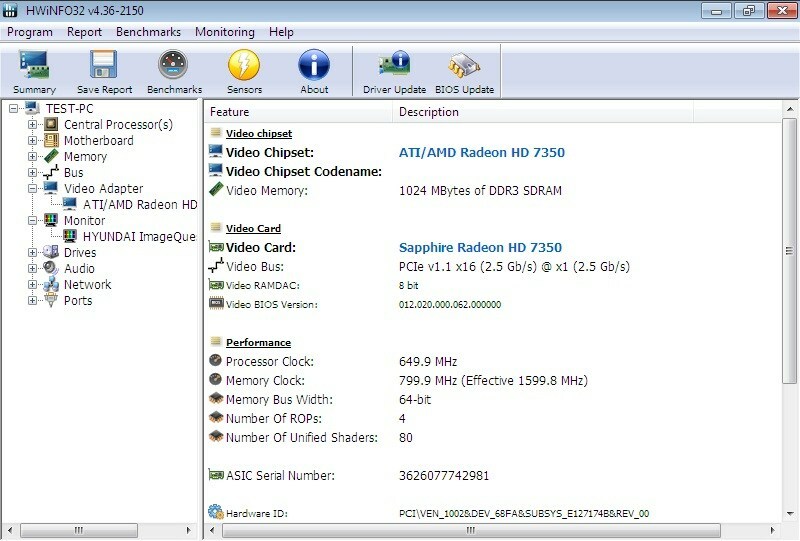 I recently got a used ATI Radeon HD 7350 1gb to replace my old Nvidia graphic card. Unfortunately, Windows 7 wouldn't detect it and only showed "Standard VGA card", which I assume is the one integrated in the motherboard. I tried to find a solution and read online that setting the ATI as default could solve it, so I tried it. Now the situation is even worse. I changed the default display from "Auto" to IGP (didn't work), PEG (didn't work), PCI (didn't work) and back to "Auto", and the computer just restarts when the "windows is starting" message and the rotating logo appear on screen. I tried the old graphic card and get the same problem. Also tried a different hard disk with both Windows 7 and Windows XP, and even though Windows 7 won't start, windows XP does (though it doesn't detect the ATI either). Also, the boot repair tool says it can't fix the problem but at least points out a reason: "baddriver". Bottom line: I'm assuming the integrated card's default drivers for windows 7 got corrupt or something like that, but I have no idea how to replace them/fix them. Any suggestions? Thanks a lot! Hit F8 to get the boot menu and start in safe mode. From there you can remove or roll back the driver when Windows loads. Thanks, I guess I forgot to mention that safe mode doesn't start either Is there a way to remove the drivers from the windows xp partition or from a linux live cd or similar? If it doesn't start in Safe Mode, there's some other issue at hand (SM loads the basic VGA driver). You could try a Linux live CD with hardware diagnostics and see if it finds anything. Ok so I deactivated the integrated card and no changes, so the problem is definitely the default VGA driver for Win7, since XP does start. I bought some DVD-Rs and I intend to burn a Mint or Ubuntu distro, but I don't have much knowledge on hardware diagnostics tools for Linux. Any recommendations? Also, would it be possible to replace the default VGA driver from the Win Xp partition? Or at least install a working ATI driver on the WIn7 from the XP one? 1. First check the AMD GPU on another system, see if you can get display ! The GPU itself could be faulty. 2. You can run both NVidia and AMD GPU under WIN 7 simultaneously, so there's no need to uninstall NVidia's driver to work your way with AMD GPU(just for your information). 3. Remove the CMOS battery for 15 minutes, then put it back on, Start the PC, Reset the BIOS to its default value, then put your original HDD/SSD, if it loads the OS then no problem, if it doesn't repair install the OS, this should resolve the booting problem. Now try your old NVidia GPU, see if you can get display ! With every new drive(from MB's point of view) you need to repair install or clean install the OS to run properly(just for your information). 4. If your MB has a UEFI BIOS or Fast Boot option then disable both, it will result in Legacy BIOS, now try the AMD's GPU, see what happens ! 5. 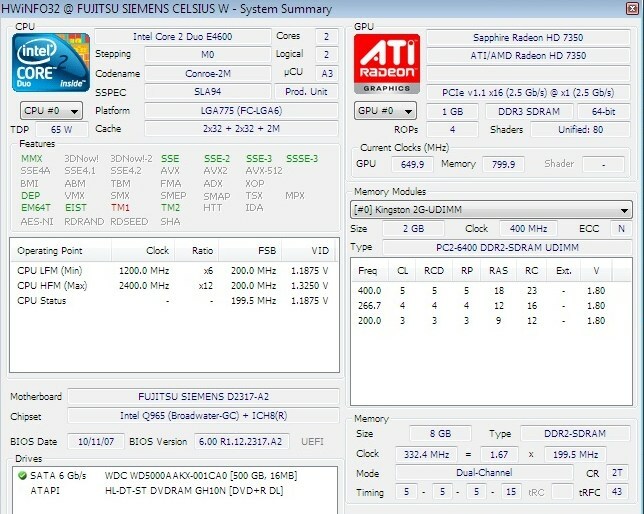 What is your system specs ? I think there's the Universal Boot CD (which I think I can talk about without the admins saying anything), which has some diagnostics on it. No and no; the driver methodologies, as it were, are completely different. If you have your Windows 7 DVD, you can boot that, click repair, tell it the OS, and click on command prompt. From there you can type sfc /scannow and run that. See if it will repair the problem. Btw, I'm running a Core 2 Duo E4600 @2,4Ghz with 8Gb of RAM, ATI Radeon HD 7350 and a 32bit Win7. Ok, hopefully we will hear something good from you ! Ok, so no success, unfortunately. But I feel the solution is closer now. 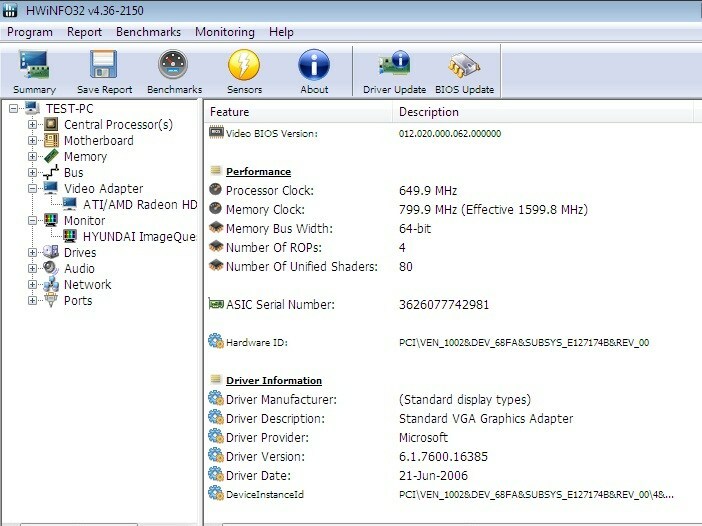 In the BIOS, the default graphics are set to PCI Express Graphics or "PEG", which is the ATI card, and the Integrated Graphics are disabled. Using the tool "hwinfo" I got to see that the system does detect de ATI card, but the driver is still set to Standard VGA Graphics. The installation of the ATI catalyst fails repeatedly: it succeeds to install the ATI Audio driver but fails at the display driver. I'm thinking that perhaps I could find simply the driver, no catalyst, and install it manually. However, I've tried a couple of websites (Driverscape and Solvusof) and they don't seem too reliable. Do you guys know any good ones? Well, you could just manually install it by pointing to the amd\support\13-12 etc directory when you right click on standard vga adapter and select update driver. Well, that's the sign of a faulty/dead GPU (The installation of the ATI catalyst fails repeatedly), RMA it or replace it. Good luck. Thanks for your help, guys. I actually managed to install the driver by manually selecting it from the device manager's update driver option, as knight_of_baawa suggested. It took several tries, since just selecting the folder wouldn't work (Windows wouldn't find a more appropriate driver than the already installed "Standard VGA Graphics") and I ended up pointing to the "inf" driver file for Windows Vista, since there seemed to be no Win7 specific ones. Bottom line, the system now recognizes the card and I've successfully run a couple of programs that with the Standard VGA Graphics either didn't work or ran poorly. I also executed the Unigine video benchmark tool with rather poor results (10FPS on low graphics), but since it's a pretty demanding benchmark I'm not too upset. I suppose I could possibly get a better performance from the ATI (or maybe not, I haven't really googled the performance of the Radeon HD 7350 ), but at least it seems to be working! Question Won't boot to windows 7 but HDD is fine?